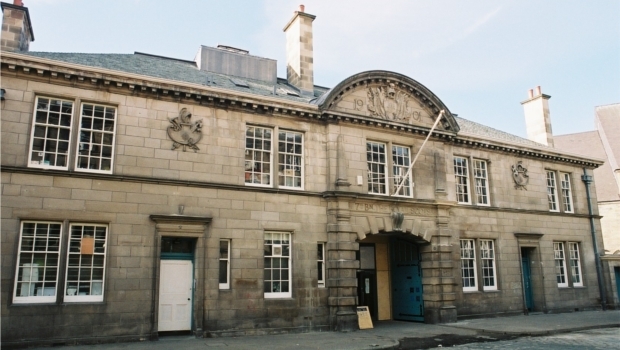 Since 2004 out of the blue’s headquarters has been the Out of the Blue Drill Hall, a building of considerable historical and cultural significance to the Leith community. 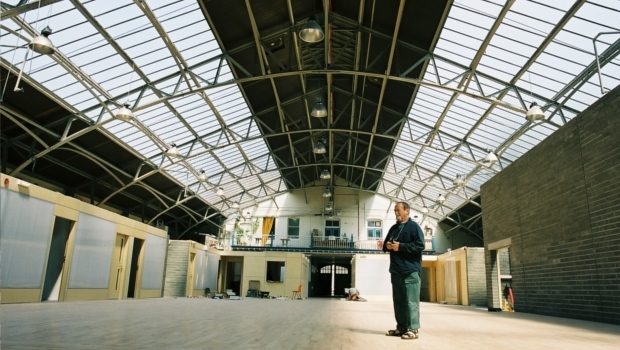 Careful, sustainable restoration and regeneration has transformed this former military building into a participatory and inclusive arts and cultural centre, with artists’ studios, rehearsal and performance arenas, exhibition spaces and a well-reviewed café. 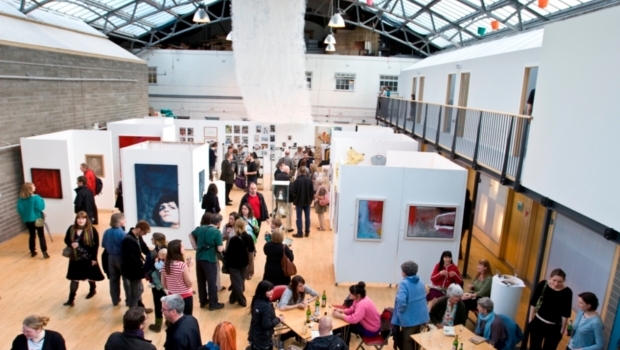 The Out of the Blue Drill Hall is a vibrant, fun, and inclusive place, where people can experience all kinds of innovative contemporary arts, enjoy the creative atmosphere, meet, discuss, eat, relax, learn. 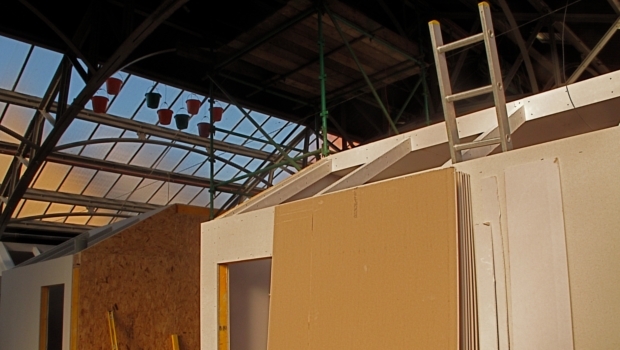 Out of the Blue has transformed the Drill Hall into a centre for participatory arts for the benefit of the local and artistic communities using best practice with regard to environmental sustainable materials and processes. 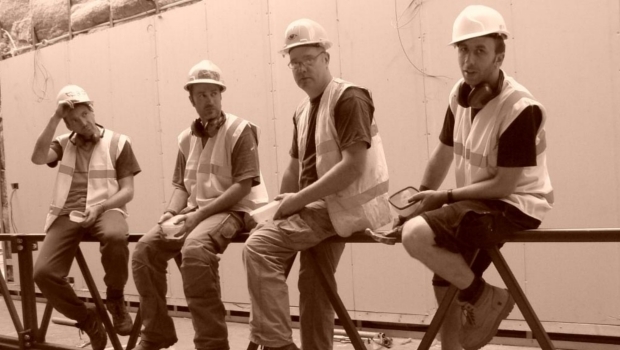 The design work has been acclaimed for its quality of design, build standard and environmental sustainability. 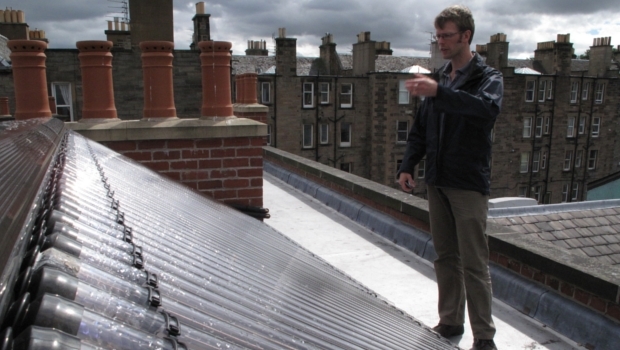 The studio and workshop spaces are heavily insulated and an array of solar tubes have been installed to provide the Drill Hall’s hot water. The Drill Hall was built in 1901 for the Royal Scots Regiment, designed by the renowned architect Sir Rowand Anderson, who also designed the National Portrait Gallery on Queen Street and the McEwan Hall at Edinburgh University. The building was used for many years as a barracks, training centre and, latterly, a garage for military vehicles until Out Of The Blue purchased it from the Territorial Army in 2003. 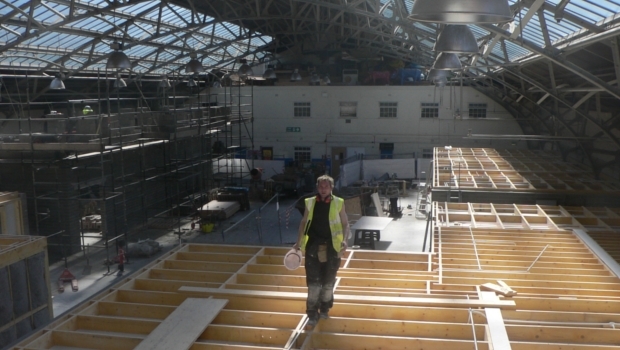 The Drill Hall is a A-listed building because of this architectural heritage, but also its historical significance in the local area. In 1915 the Gretna disaster, the worst crash in the history of British rail travel, killed 227 people and injured 246 others. 102 of those killed were young men from the 7th (Leith) Battalion of the Royal Scots, on their way to Liverpool, where they were to leave for Gallipoli. The bodies of the victims were laid out in the Drill Hall prior to burial in Rosebank Cemetery, across Leith Walk in Pilrig. 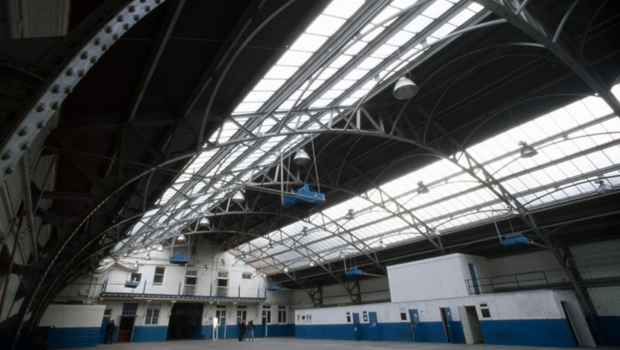 The Drill Hall still stands today as a memorial to one of the greatest tragedies to affect the community of Leith.